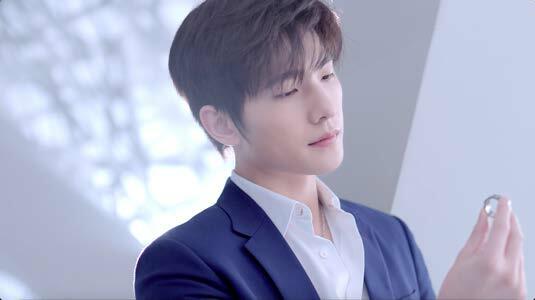 Shanghai (October 2018) - PGI China has recently released a brand new advertising campaign starring Chinese Platinum Ambassador Yang Yang. The superbly-directed film is a celebration of the strength of lasting love—love that deepens with the passage of time. Platinum is featured prominently in each scene, the centrepiece of each unforgettable moment, a glittering icon of endurance. In the stunning visuals, Yang Yang is seen walking down a passage interspersed with light and shadow, a pensive look on his handsome features as he turns a platinum ring between his fingers. The scene then transitions to a collection of moments featuring platinum jewellery: a young man presenting a necklace to his girlfriend; a groom solemnly slipping a wedding band over the bride’s finger; a newborn child being given a good-luck charm bracelet by loving parents; an elderly couple exchanging glances of affection, pair rings glittering bright on the wrinkled hands; a mother pinning a brooch to the chest of an adult son about to leave home. Platinum is present in each of these milestone moments, a symbol of love that can stand the test of time, a testament to perpetual devotion and commitment. 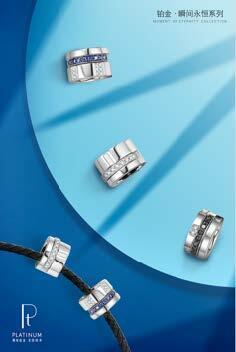 Platinum is eternal as its natural white colour never fades, making it the perfect symbol of a never-fading commitment. The PLATINUM • MOMENT OF ETERNITY collection features platinum rings, bracelets, necklaces, and pendants inset with diamonds and gemstones of a variety of shades. Platinum’s natural whiteness brings out the glory of the coloured stones to their fullest, which sparkle with the wearer’s every movement. A circular design is employed in the pendants to suggest the cyclical nature of life. Choose white diamond for a perfect partner to platinum’s subdued, elegant hue; or black diamond for a subtle yet unique expression of refinement. Proclaim the infinite depth of your love with the ocean-blue of sapphire, its rays made all the more radiant by the brilliance of platinum. Alternately, select a platinum band inlaid with black-and-white ceramic, to represent a love made strong by the flames of trials and tribulations. 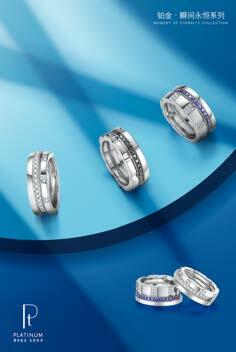 This trendy collection is suitable for all occasions. 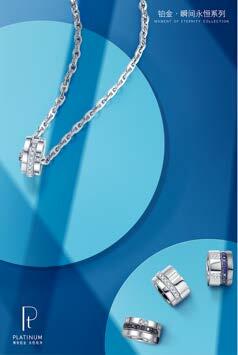 Mix and match the different pieces to showcase your creativity and inimitable style.